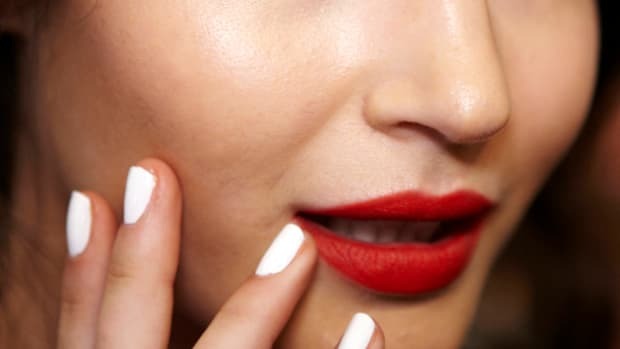 Start off with two solid coats of your base colour (on top of a clear, protective base coat, that is). White is great if you really want the flowers to pop. 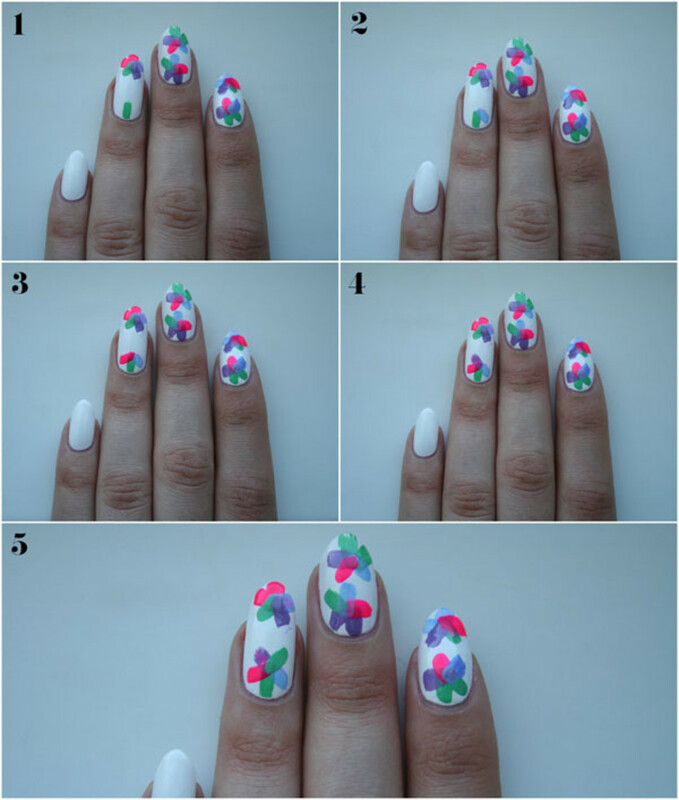 Repeat the strokes with the remaining three colours, overlapping them in the centre to create each flower. 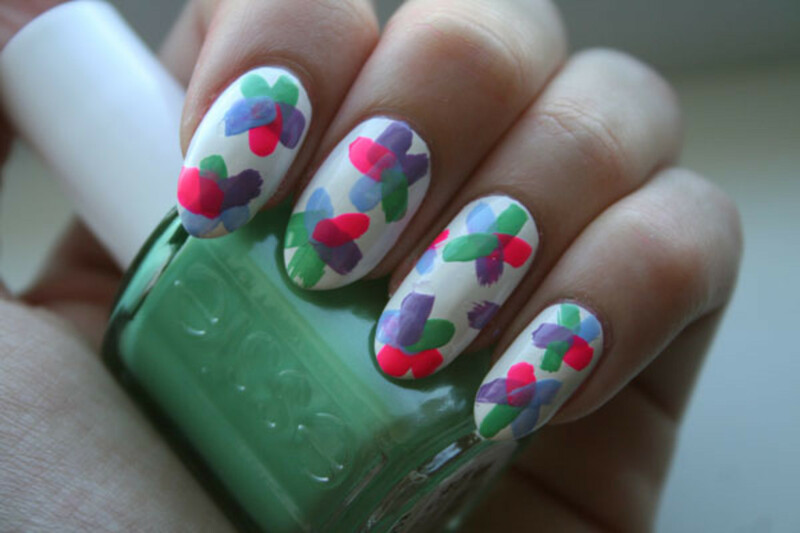 Once you&apos;re done with one flower, move on to another spot on your nail and repeat the process. 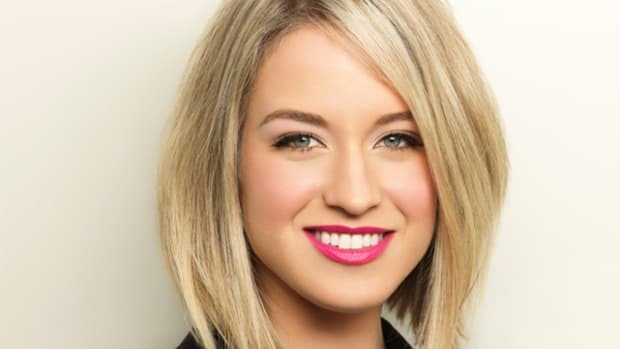 Finish the look by adding a few small dots of black in the centre of the flowers using your bobby pin (or pen, pencil, etc.). Top it all off with a fast-drying topcoat (I swear by Essie Good to Go Top Coat) once the design is dry. 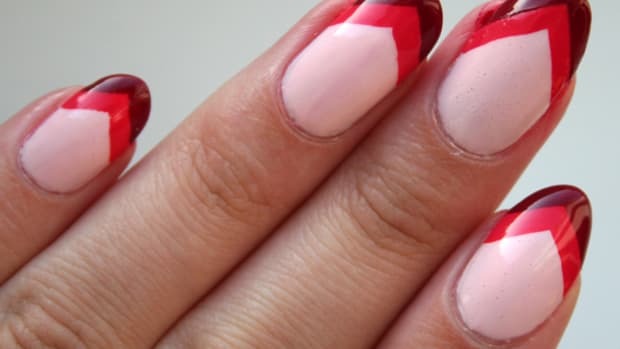 Don&apos;t forget to go over the free edge of your nail to make sure your mani is chip-proof for a couple extra days. 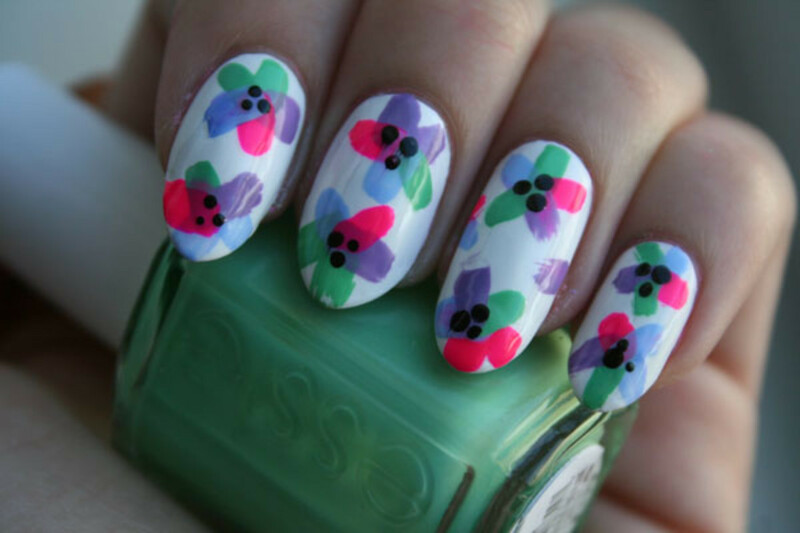 Would you rock this floral mani? 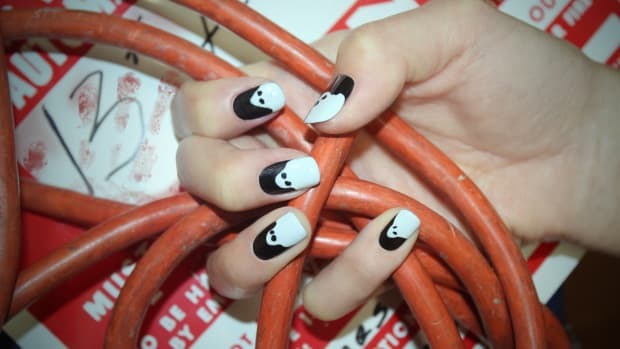 How do you feel about nail art these days—loving it or leaning toward the classic look of one shade? 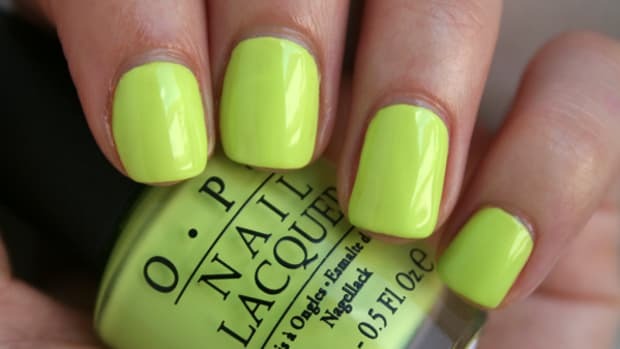 What&apos;s your go-to nail colour this spring? 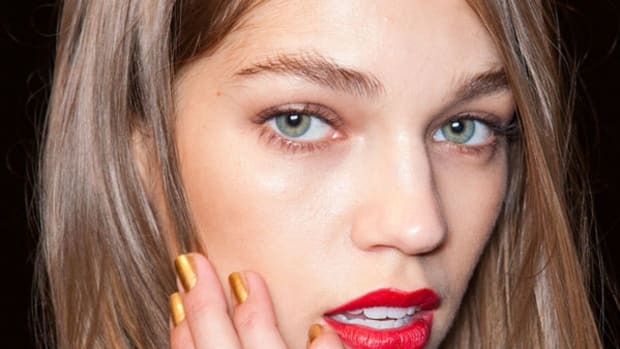 Essie's global lead educator on her mani must-haves and what it's like to paint Karlie Kloss' fingernails. 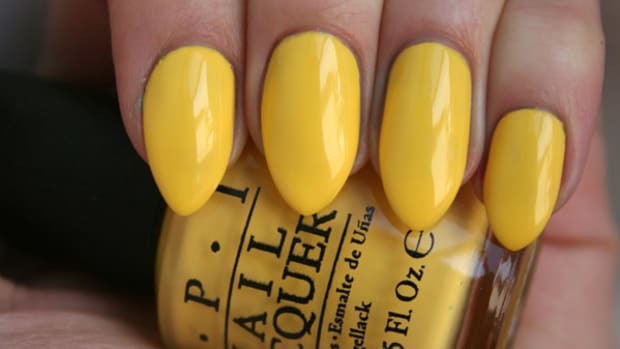 OPI's Carnaval of Color collection is full of Brazilian beauties. Are you ready for Rio?